Kavya Sanghavi is the Senior Environmental Health Educator at Green and Healthy Homes Initiative. In this role, she works directly with families to identify unhealthy conditions in their homes and provides education on safe and healthy housing. Kavya has a diverse background as a former dentist and researcher in Mumbai, India. She graduated from Johns Hopkins Bloomberg School of Public Health in May 2018 with a Master of Public Health and a Certificate in Professional Epidemiology. She is passionate about community-based public health, and hopes to keep health equity at the core of her public health career. 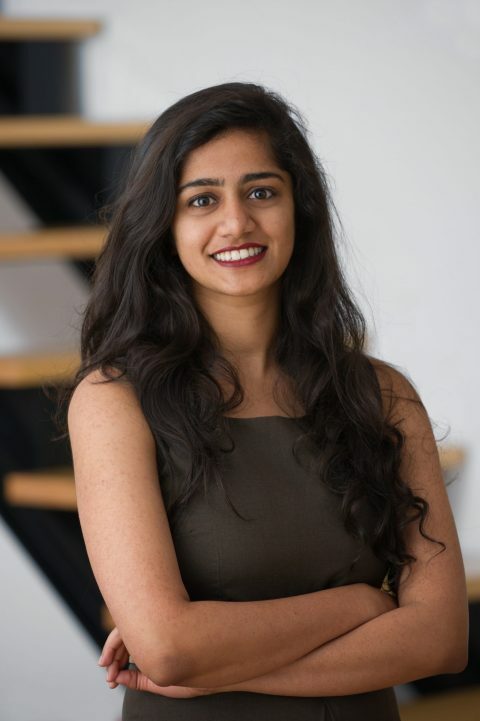 She has been recognized for commitment to public service, mentoring children from low-income communities in Mumbai aimed at personal and professional development, and volunteering with multiple not-for-profit organizations in Baltimore. Kavya has a soft spot for dancing, live music and local coffee shops.